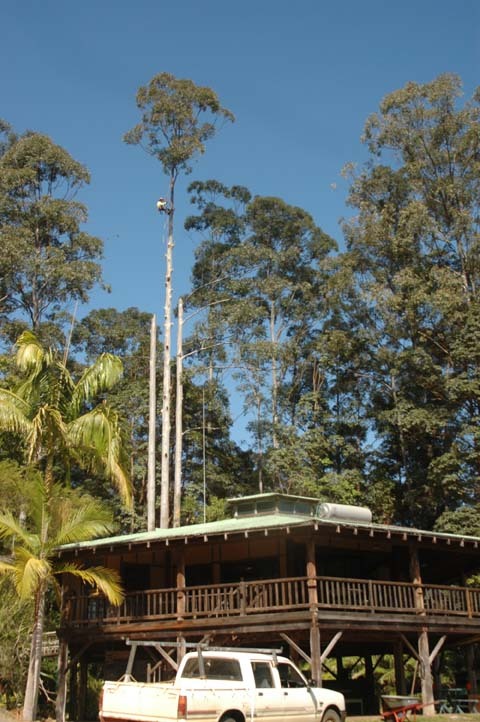 Chris Anderson grew up on a rural property in the northern rivers region, where he first developed his knowledge and appreciation for trees. He has been involved in many tree planting and forest regeneration projects in the area from a young age. Chris started his career in tree work through portable timber milling. Part of a team, he milled waste logs left after forestry logging as well as doing private timber milling jobs in The Channon area. Chris now has 14 years experience in milling and owns his own portable timber mill. The portable timber mill can easily be set up for a few small logs or for larger milling jobs. Chris offers an incredible range of services, from small tree pruning or palm removal jobs to large scale Camphor Laurel clearing, maintaining the health of established trees, deadwood removal and taking down large trees in confined spaces and stump grinding. Chris' study and years of experience ensures accurate assessment and action can be taken regarding sick, unhealthy or potentially hazardous trees. 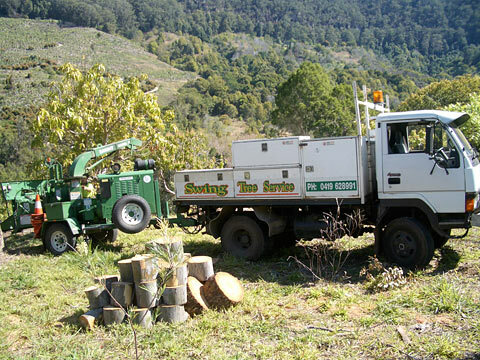 Swing Tree Service now offer professional arboricultural and tree pruning services in Byron Bay, Mullumbimby, Lismore, Bangalow, Nimbin, The Channon and any where in-between.